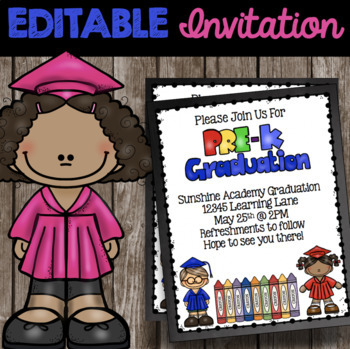 Invite families to Pre-K Graduation with these adorable invitations! You can edit these announcements yourself! It is super easy to do. You can add your information, save and print as many as you need. File comes as a high resolution, editable PDF. 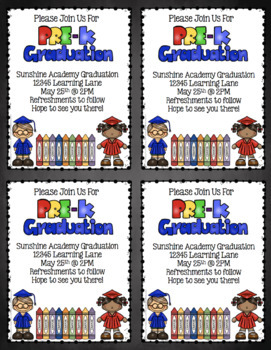 Invitations can be printed at home or your favorite print shop. 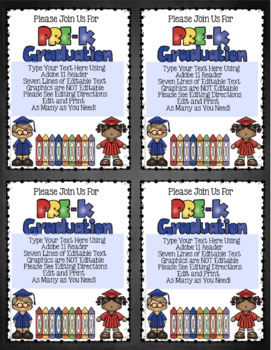 For best quality print on white card stock or photo paper. You can use them year after year! Four announcements print per 8.5" x 11" page. Please note: all other text and graphics are secured into to PDF and cannot be edited.